and we have $5k worth of prizes up for grabs! Enter our ‘Share The Memories’ promotion for your chance to win a new Dell 15″ Laptop valued at over $1000, or many other prizes from our total prize pool of over $5000. 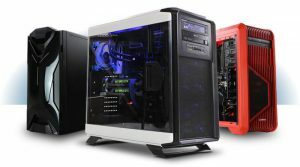 Looking for Computer Repairs in Wodonga / Albury? We specialize in data recovery for your PC, Laptop, External Hard Drive’s and other devices. All repairs are completed to the highest possible standards and are inspected on a case by case basis. We have high end Data Recovery associates with clean rooms in place for those “difficult” cases. CONTACT US! Is your Laptop looking worse for wear and have cracks or lines in the display? If it does, there are options available to you with repair and replacement! Call us today. Has your Computer upgraded itself to Windows 10? or do you have issues navigating your new version? If you do give us a call and we will sort everything out for you! Spyware and Virus prevention is one of the biggest things facing you and your computing. 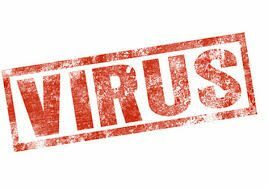 We can assist you with all aspects of these threats including the removal of nasty and intrusive spyware, malware and virus’s. Also we can prevent these items showing up with solid protection and a little training. We will explain as much as we can in reference to the items we find when cleaning your computer and will work together with you in stopping these infections in the future. Call or email us and we will discuss your situation and give you a quote. We offer upgrades and advice for your PC or Laptop whatever brand it may be. If you need Ram, Hard Drives, Video Cards, Power Supplies or anything, WE’VE GOT IT COVERED! Call or email us today and we will give you the best options for your Computer and speak to you in terms you understand. Ashlin Technology Services (Formerly Ashlin Computers) is now 34 years young and we have the expertise to assist you in all areas, so if you have a problem or just a question then drop us a line – we can help you! We specialize in data recovery for your PC, Laptop, External Hard Drive’s and other devices. All repairs are completed to the highest possible standards and are inspected on a case by case basis. 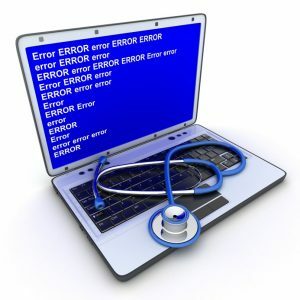 We have professionals in place to speak to you about your Computer issues, and have high end Data Recovery associates with clean rooms in place for those “difficult” cases. Contact us today. We can assist you with buying your new Laptop as well so do call us, we’re waiting for your enquiry and we will point you in the right direction and set you up in the perfect machine for you! If you require a new Computer System built to YOUR specifications then just request a quote on our site! If you need any computer gear then send an email, call in and see us in our showroom, or just give us a call and we will set you up with the best PC for your needs – GUARANTEED! We service, upgrade and maintain all brands of laptops, desktops, all-in-ones PCs and more phone and tablets. If you have any issues with your laptop then drop us a line or call in and see us in our showroom. If your laptop is running a little slow, not getting you to those Websites, has a cracked screen, has a noisy fan or is running hot then we can help! Call us for a quote. All come with warranty and include good old fashioned service you can only expect from 30 years in business. 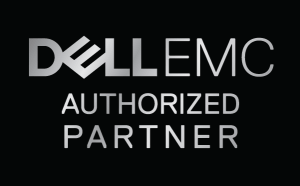 Ashlin Technology Services are pleased to announce they are now a Dell Certified Partner. 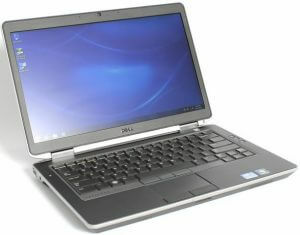 We can help you with any Dell product you might require. Desktop, laptop, servers or networking with Dell and Ashlin Computers we have you covered! The team at Ashlins have been an Accredited Service Agent for Glory Global Solutions for over 7 years. Within this time they have repaired, serviced and maintained a range of our products including Teller Cash Recyclers (TCR's) and (Mach) Coin Counters, which are located in all the major Banks across Australia. They are our agent for branches across the North East region of Victoria and Southern New South Wales, and have always conducted themselves in a professional manner whilst performing duties for Glory onsite. They have always gone out of their way to meet our strict response times in keeping our Banking institutions equipment operational, and has made themselves available for all urgent service calls we ask them to attend. At C&M Roofing, like most businesses we are heavily reliant on our shared computer network and internet access. The team at Ashlin Computers have provided outstanding customer service to C&M Roofing for many years. All I.T. related problem solving, networking, internet access issues, emails, virus protection, repairs, computer sales & custom built computers. I would highly recommend Ashlin Computers for all I.T. related services and excellent customer service that you do not get from other I.T. or computer consultant companies. Ashlin Computers have been looking after all of our Computer equipment and IT needs for well over 6 years now, and Elite Body and Paint have been very happy with the service provided by the Ashlins team. They have proven to provide us with very reliable, honest and trustworthy advice every time. We would not recommend anyone else. The team at Ashlin Technology Services love all things technology! When it comes to computers, laptops or anything tech based we’ve got your covered! We supply, support and repair all types of computers and devices, whether it’s for business or residential, Microsoft or Apple, hardware or software, spyware or even stopping hackers getting to your computer we can help, no job too big or too small. * If your computer is slow that’s hardly normal and you don’t need to put up with it! * We can find you the exact computers you need for the job so CALL ASHLINS TODAY!